There is now an sgminer fork for GPU mining Revolvercoin (XRE) that uses a new X11 Evo algorithm (source) for AMD GPUs. The new X11 Evo algorithm comes as a solution to the already available ASIC miners for the standard X11 algorithm, meaning that X11 Evo is only CPU and GPU mineable for the moment, though CPU mining with a GPU miner available is not very reasonable. The first altcoin to use the new X11 Evo algorithm is Revolvercoin (XRE). 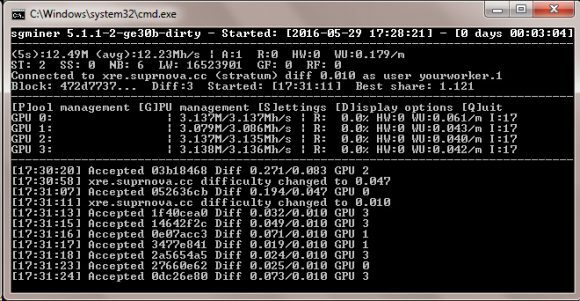 The hashrate you can expect to get from the X11 Evo algorithm is a few times lower than what the same AMD GPU could be capable of providing with the regular X11 algorithm, so something like 2-3 MHS is to be expected at the moment depending on your GPU.